Recap: The Rangers brought their game tonight in the 1st period. They came out strong and dominated Woywitka scored his first goal as a New York Ranger. Not to mention the defense held Anaheim to only two shots in the whole period. The second period was more evenly matched. The Ducks were able to get a goal from the star Bobby Ryan his fifth of the season. The shots were also move evenly matched with the Rangers getting 9 while Anaheim had 10. This was not the case in the third. The ducks outshot the Rangers 15 to 4 and dominated the whole period. Lundqvist was sharp with 27 saves and looked like his old self out there. His counterpart Jonas Hiller kept the Ducks in the game. He made save after save in the 1st before the Rangers could run away with it. Thoughts: This one was a thriller from beginning to end. Hats off to Jonas Hiller who was able to stifle the Rangers opportunities. 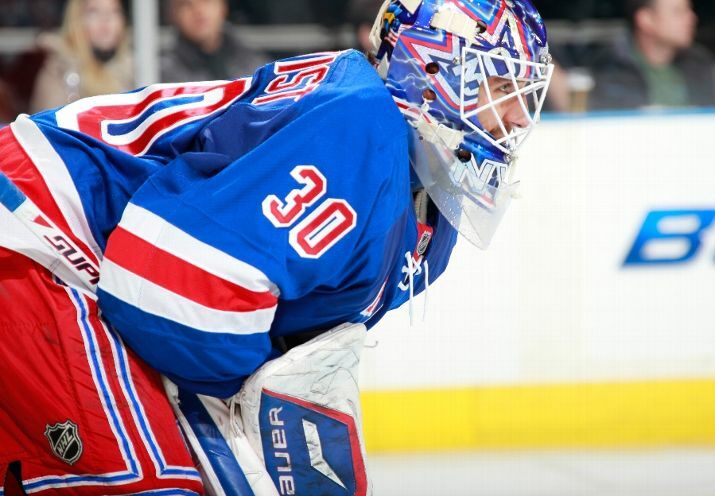 Without him the Rangers defiantly would have scored multiple goals in the 1st. What the Rangers can build from this is how well they play when they stick to their game plan. If they are able to get the consistency they had in the 1st the sky is the limit for this team. They came out strong and fast and knew exactly what they needed to do. The defense allowed for Henrik to get comfortable and he ended up having a few big saves. This could be the beginning of a hot streak for him. Gaborik has been skating well and its a matter of time before the puck starts going into the net. Overall, the Rangers were able to get the two points and have a day off before they play Montreal on Saturday night. Return of Avery: It’s almost certain now that Avery will play saturday night due to the injury to Wotjek Wolski. The fans prayers are answered. It will be interesting to see what Avery can add to this team. This entry was posted on November 3, 2011 at 9:02 pm and is filed under Rangers. You can follow any responses to this entry through the RSS 2.0 feed. You can leave a response, or trackback from your own site.